It says "Seamaster" on the back so it must be one!!!! I'm working on it! I've actually been pretty busy these few days....I'll upload your card tonight, promise!! Last edited by hanson_j00; February 5th, 2009 at 05:34. Howdy. Here is my seamaster, Pierce Brosnan style. Would you happen to have an extra one of those cards for me? I am new to this post. I recently purchased my first Omega watch. I got the PO Chronograph. I researched the watch for a long time. I am now very pleased with it. Here is a photo. I will post better ones soon. I just wanted to get started with the Club Card. Thanks. Haha - I'm pretty sure that's a Speedmaster.....hmmm. 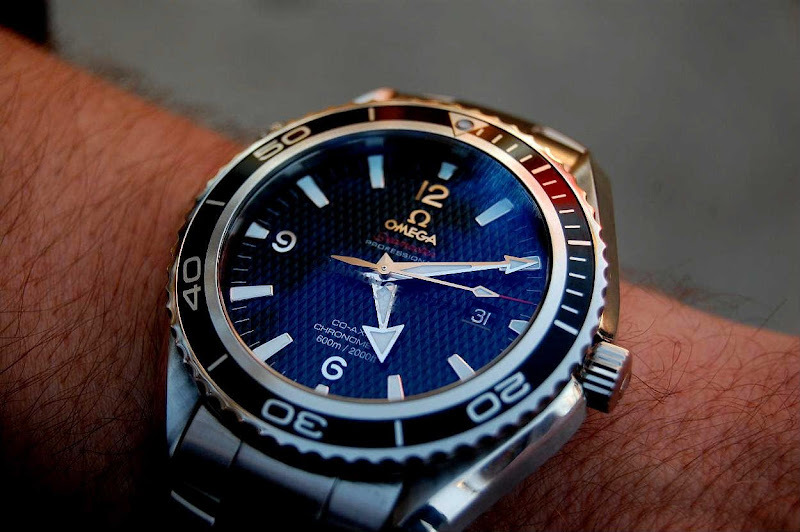 I know that the whole "Seamaster" thing was originally to indicate water proof-i-ness....what do you guys think?